This is one of the first earpieces that can translate languages without an internet connection. Imagine if understanding a foreign language you have never learned was as easy as just listening. 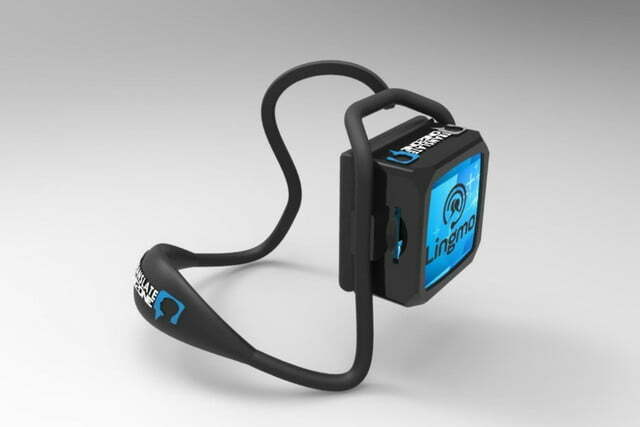 Australian startup Lingmo International has leveraged IBM Watson technology for its Translate One2One, an earpiece that can translate languages in near real-time. Using IBM Watson's Natural Language Processor and Language Translation APIs and Lingmo's machine learning applications, the earpiece-equipped device can translate across English, Japanese, French, Italian, Spanish, Brazilian Portuguese, German, and Chinese. The earpiece has a microphone built-in which picks up spoken words, allowing the earpiece to translate speech in seconds. An iOS app is available which offers speech-to-text and text-to-speech translation for even more languages. If you find yourself in foreign lands and out of the reach of Bluetooth and Wi-Fi, Translate One2One can still work just as well. "As the first device on the market for language translation using AI that does not rely on connectivity to operate, it offers significant potential for its unique application across airlines, foreign government relations and even not-for-profits working in remote areas," said Danny May, Lingmo's founder, in a press release. Translate One2One is not the first to the party. Last year, tech startup Waverly Labs released its Pilot earpiece which also translated multiple languages on the go. Similar to Translate One2One, Pilot can translate languages without internet connection by downloading language packs from a companion app. But, unlike Translate One2One, Pilot requires a cell phone connection to work offline. The Translate One2One earpiece was unveiled earlier this month at the United Nations Artificial Intelligence (AI) for Good Summit in Geneva, Switzerland. It is available to purchase today at $179 and will ship by July. You can put your order inhere at Lingmo's official website. A travel pack with two earpieces is also available for $229 so you and someone who does not fully understand your language can have a pretty seamless conversation without having to yell "what do you mean?" at each other.